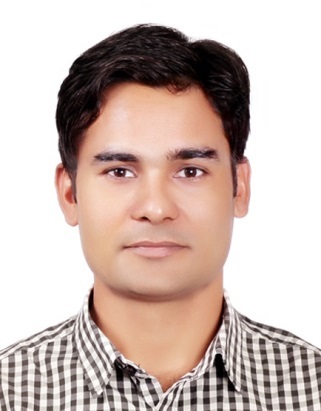 Anuj Kumar is presently working as an Assistant Professor (International Research Professor) in the School of Chemical Engineering at Yeungnam University, South Korea. Previously, he worked as a Postdoctoral Research Associate in the Department of Nano, Medical and Polymer Materials (School of Chemical Engineering) at Yeungnam University, South Korea and Assistant Professor in the Department of Chemistry at DIT University, India. He received his Ph.D. in Polymer Science and Engineering (Chemistry of Biomaterials) from the Department of Polymer and Process Engineering, Indian Institute of Technology Roorkee, India in 2014. He completed his MTech (Fibre Science and Technology) from Indian Institute of Technology Delhi, India in 2009 and MSc (Organic Chemistry) from Chaudhary Charan Singh University, Meerut, India in 2006. Recently, he got a sponsored research project as Principal Investigator and received Research Fund of total 150 million Korean Won for 3 years for Basic Science Research Program through the National Research Foundation (NRF), Korea awarded by the Ministry of Education, Science and Technology, Korea for “Injection-type hybrid hydrogel development for bone tissue regeneration”. He has published more than 20 SCI publications in peer-reviewed journals, 4 book chapters, and has been involved in reviewing of articles for prestigious journals (e.g. Journal of Materials Chemistry B, Materials Science and Engineering C, Carbohydrate Polymers). He has a membership of some professional societies (e.g. Asian Polymer Association (APA), Association of Carbohydrate chemists and Technologists, India (ACCTI), and Textile Engineering Society (TES), IIT Delhi (2007-2009). Also, he has been listed in Marquis Who’s Who (R) in the World 2016 edition for the significant contribution in the respective field. He has a rich experience in the field of synthesis and processing of bio-based polymers, surface modification of polymers, cellulosic nanocomposites, chemistry and design of composite biomaterials, bioactive glasses, synthesis of nanomaterials, hydrogels for bone tissue engineering, and drug delivery systems. His current research is focused on developing injectable/non-injectable hybrid hydrogels for bone tissue engineering applications, including 3D Bioprinting of the biomaterials and cancer drug delivery systems.